How you all doing this week? My relief this weekend is immense: relief that I got to stay in last night and sofa snuggle with my boys, whilst snacking on Doritos & the holy trinity of dips (guacamole, salsa, sour cream’n’chive) whilst only sipping a teeny, tiny amount of full fat Coca Cola whilst watching X-factor. Perhaps not quite living the dream for some, but for me, staying in *is* the new going out and to wake up this morning, feeling human… well, it’s heaven! Anyway, what am I look at in this week’s Sunday 7? 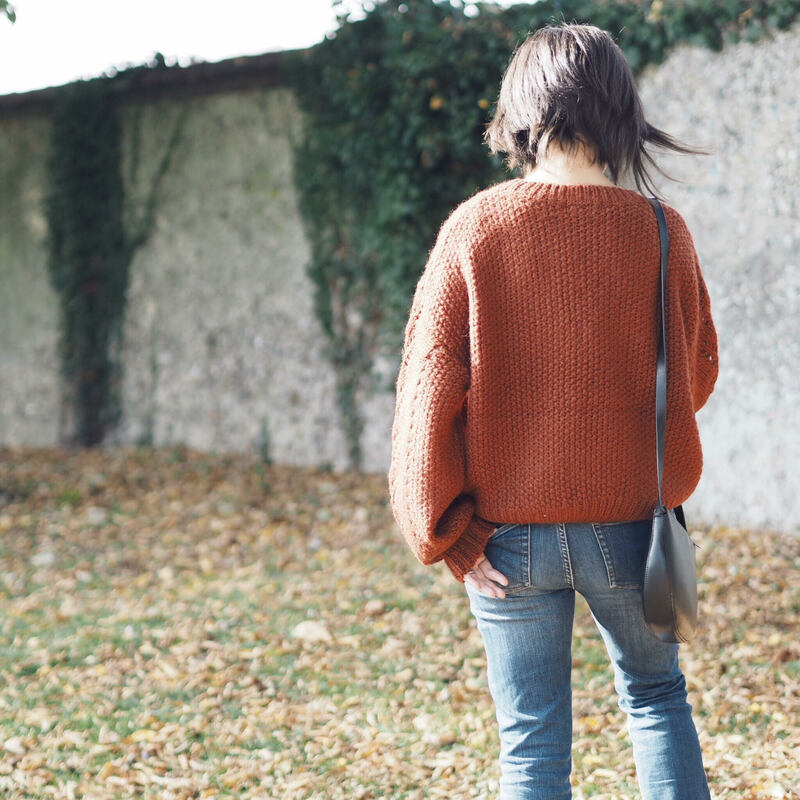 I’m sure you’ll recall that I’m more than a little obsessed with this Ganni knit, although this is the Faucher Pullover, not the Julliar one which I talked about here. 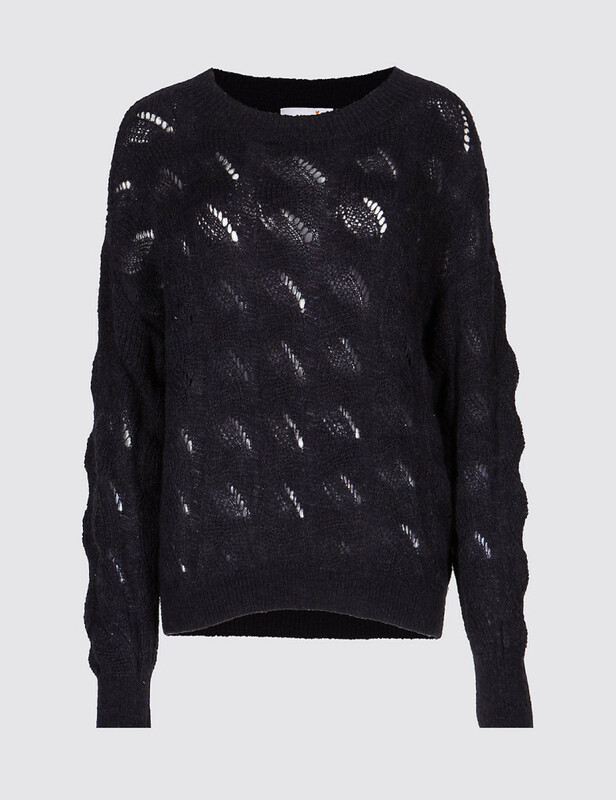 But at a cost of £355, there’s no way on earth… ever… I could buy this sweater. Even if I had the funds… I’m just a normal, regular every day stay at home mum, who is unaccustomed to spending such a huge amount on clothing, so I’m not sure I would be able to part with my cash for “just a knit”. 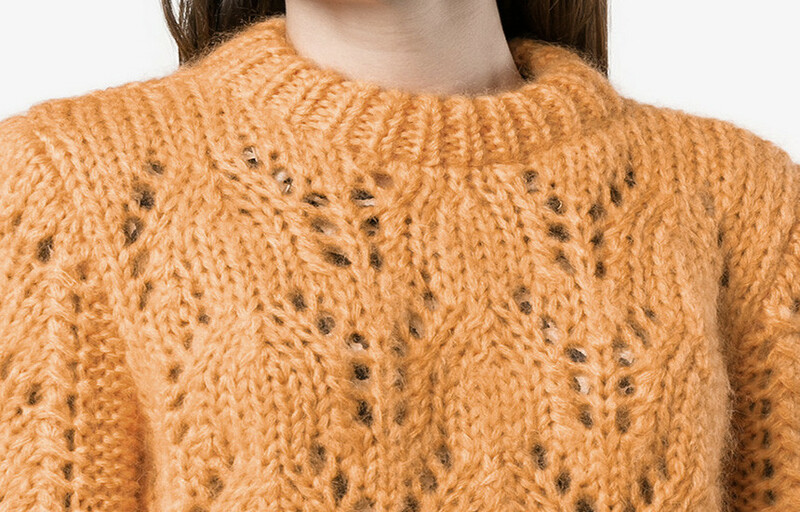 Anyway, Ganni seem to have a much coveted knit most seasons, and as such, it’s not long before the high street dupes start appearing. So, this week, I thought I’d run through these dupes, complete with some plainer (ie no pattern) options. And there are some great dupes out there… my problem with most of them is the colours. Most seem to be in pastel shades, which simply don’t suit me really. But, that’s not to say they won’t suit you! 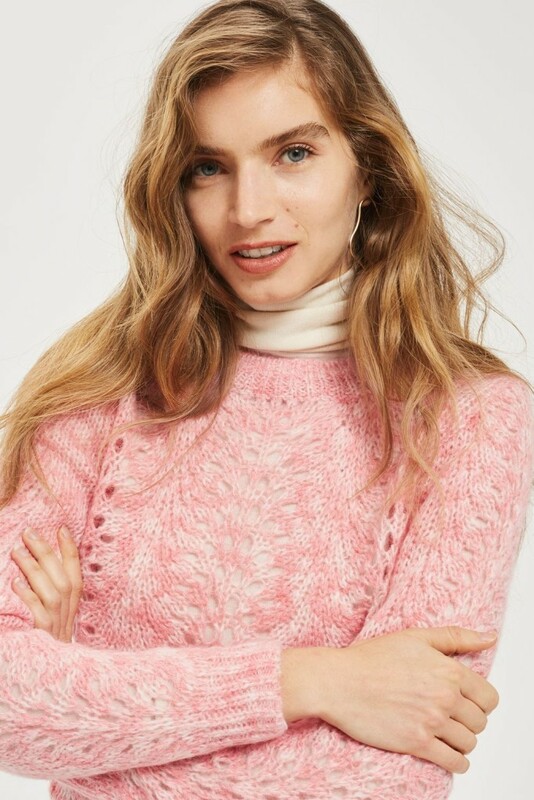 So this Topshop knit is pink and has a knitted lace pattern, with a small (non-itchy) percentage of mohair in it’s composition and that is where the similarity ends. 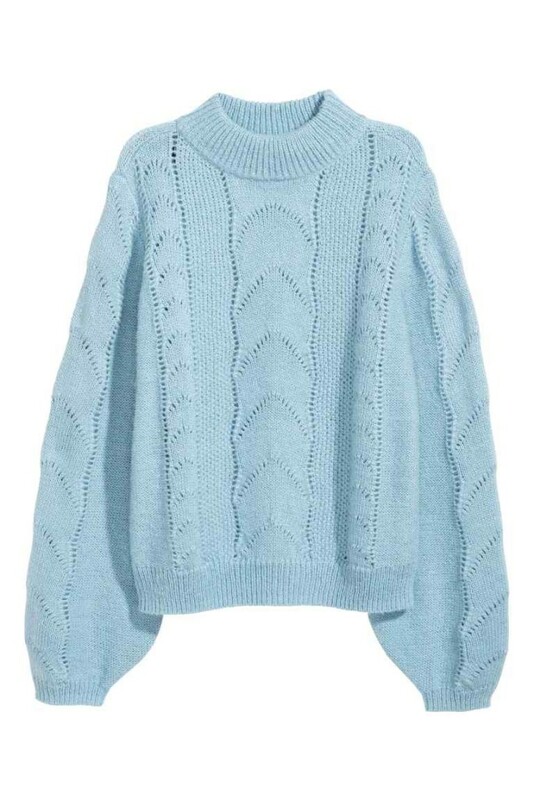 It doesn’t have the proportions of the Ganni knit – the slouchiness, or balloon sleeves, but it is a cute sweater. From this pic of the sweater on the model, you can see it’s more fitted. Which to be honest, is probably better for petites. 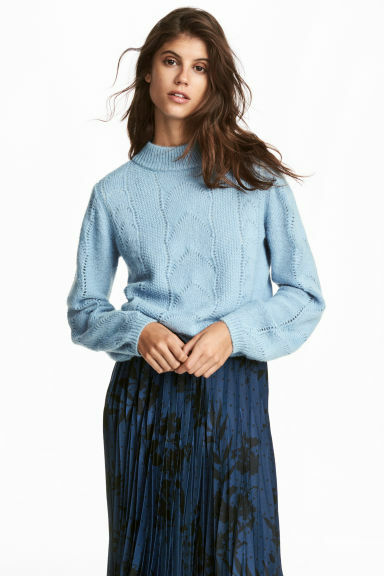 BUT… I want a slouchy ganni style knit! I promised this was a ‘different’ Topshop knit, didn’t I? But honestly, it actually looks like the same as the pink one, doesn’t it? The only difference I can see is the colour and the £7 price difference. Looking more closely at the descriptions of both sweaters, it appears that this yellow one has 2% less mohair in it and really, that’s the only difference I could spot! Which is super cute, don’t you think? But again, unfortunately for me, neither of these colours quite work for me. As you will be able to tell from this pic, this HM Ganni dupe *does* have the slouchy proportions and balloon sleeves. Although the pattern is somewhat heavier and it’s not quite as “loose” a knit. Like the Topshop ones, it’s predominately acrylic / nylon, however, the Topshop ones both had 25% plus of mohair, and this HM one has just a teensy 3%, with a 5% wool composition. Now at this point I’d like you to take note of the fact that mohair, as a wool and natural fibre *is* an exceptionally itchy fibre for sweaters. So the reality is, you do NOT want a sweater that is too heavy on the mohair. According to my mum – a knitting guru, anything in and around 20 – 30% mohair will give enough of a fluffy look to a knit, but won’t be overly itchy nor should it make you want to rub your nose ever 2 seconds with that feeling of ‘inhaled fluff”! A more vibrant pink from M&S now. 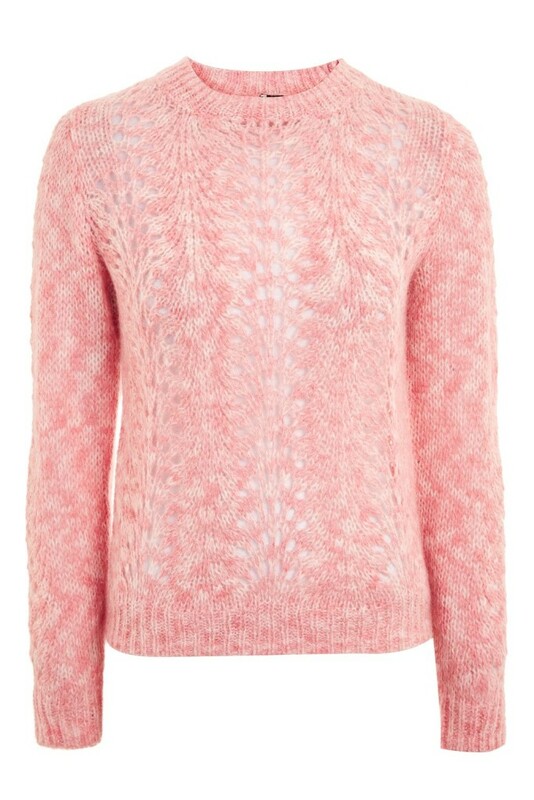 Having seen this knit in the flesh, it is indeed more Raspberry than a pastel pink. I tried this one on (no photo – I didn’t have my phone with me: what.a.rookie.error.!!) and again, the colour wasn’t quite right on me, nor was the shape. Unfortunately, it was just far toooooo long for me and looked very wrong. I would say if you’re 5’3″ and above, this would be a really great knit! So here’s the first of two plainer options. It’s from Weekday Stores, and again is a predominately acrylic with small percentage of wool blended into the mix. So, in other words, it’ll hold it’s shape well, and won’t be an itchy knit; however, if you’re a natural fibre purist… then this isn’t the knit for you. 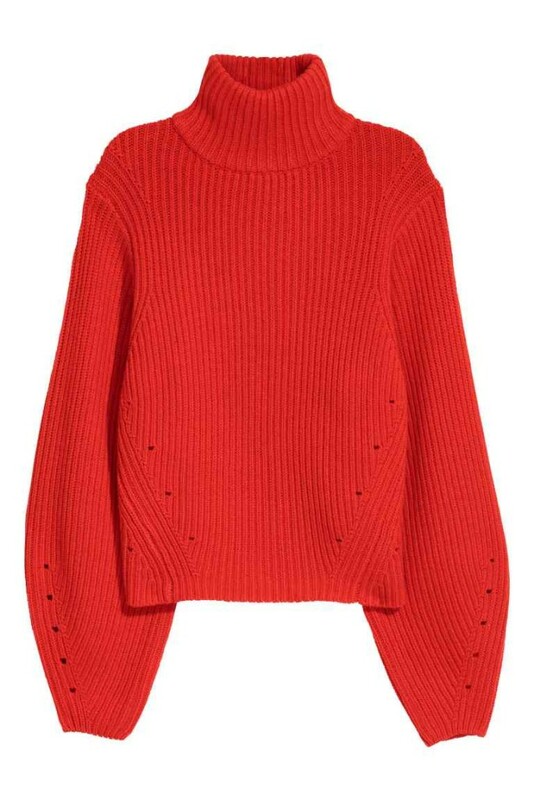 It’s basically a plain version of the slouchy, balloon-sleeved Ganni knit. And it’s a reasonable price and good colour. Although, I’ve never really gone for green knits for some reason? It’s got all the hall marks of Ganni, but to be honest, on this occasion, I *do* want the pattern, and not a plain version. So again, another plain balloon-sleeved, slouchy knit. 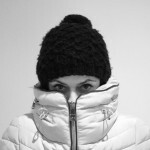 But a turtle neck – something which I am a big fan of. This one is 95% wool and 5 % cashmere, so is incredibly good value. However… you’ve guessed it: too plain for me. So, unfortunately, my number one this week… the one I’ve actually bought… isn’t online. 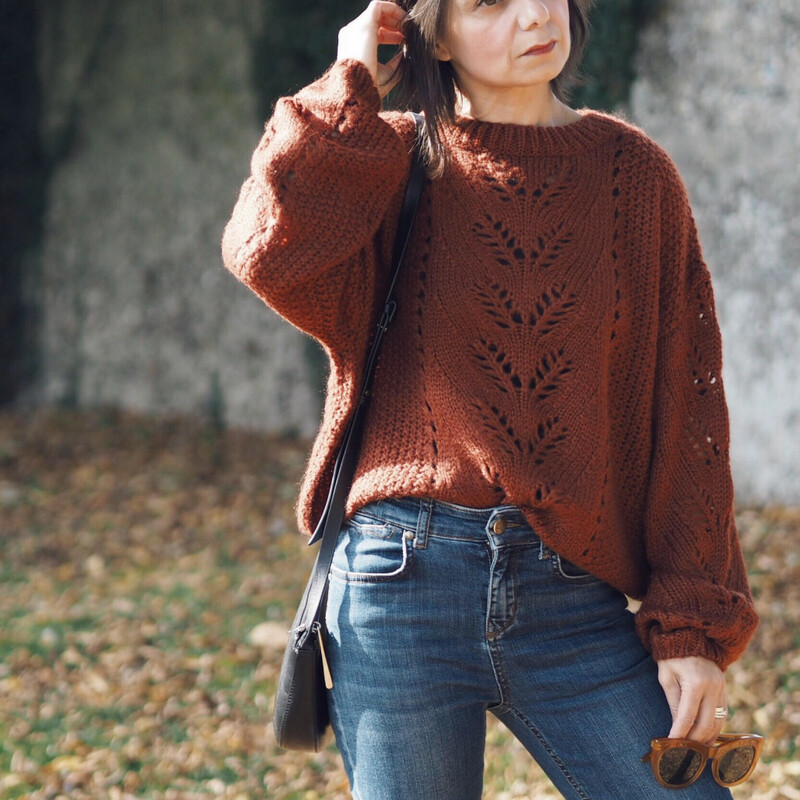 I first saw this gorgeous rust brown knit on my Instagram feed in one of my lovely & stylish, insta-pal, Tracey (@asnapshotofme)’s fab flat-lays. So it was love at first sight… and I had every intention of nipping into town that same day to see if I couldn’t pick one of these sweaters up… but it was a very busy week, with Mr T fully laid up, in the second week of a nasty virus, so as well as doing all the school runs, dog walks, renovation errands and everything else in between – I simply didn’t have time. Anyway, I found a very short window of opportunity late yesterday avo, and I was on it! At this point, I must apologise for putting something which isn’t online yet as my number one; however, there was plenty of stock in my local store AND I’d wager that because it’s new, it’ll be going online soon enough, it’s just not there yet. I’ve taken the name “Stitchy Balloon Sleeved Jumper” from the tag – so keep your eye on the website as I’m sure it will be online very, very soon. it’s 100% acrylic and I’m 46 so let’s just say, that’s a recipe for feeling both sweaty & hot whilst still feeling the chill from the elements. 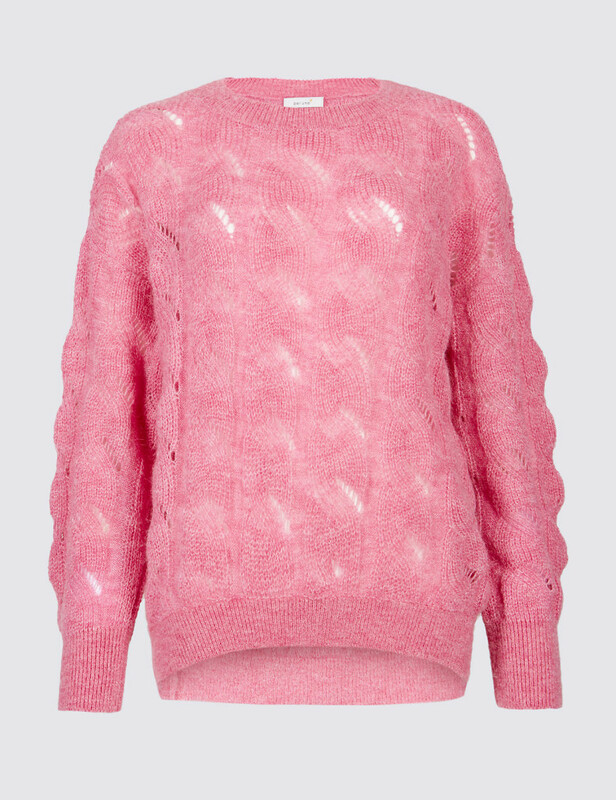 should I return it and try the pink Topshop sweater instead? but that shade of pink is too pale for me? Could I wear it with a white (collared) shirt to break the pink up? or a neckerchief? And on and on went the doubts. I think I’m just having one of those “low self esteem days” which I occasionally go through… you know those days? Some people have fat/bloated days, or spotty days (I have these too) but today I was feeling small. As in not just short, but puny… unwomanly, tiny… like a microscopic spec. There is no particular reason for this self-negativity other than I’m female and I think we all get down on ourselves sometimes. Looking at the photos I’d taken, I suddenly felt calm about my hang-ups. Just as quickly as they’d entered my day, they seemed to evaporate. So I suppose, as vain as it is to take photos of yourself & your outfit to post on the internet, there was an actual positive which came from it today. Tell me I’m not the only daft b*gger here… do you go through these days, or is it really just me?! It’s a pure, strict 7 kind of Sunday 7 today, with no Stinker or Wildcard or Beany-bonuses; sorry about that but I need to take it easy. Although I felt hugely relieved that there was no hangover this morning, I have been fighting off this horrible virus all week (the one my husband’s been laid up with); and to be honest, the paracetamol and ibuprofen have been doing a great job… until this evening. This evening: my eyes are tired & have shrunk up into the back of my skull (as well as feeling burning hot);,my sinuses are hurting and my throat feels very hot & tickly… ugh. Here’s hoping I can continue to fight the virus off though. I have too much on my plate right now & no time at all for being ill! 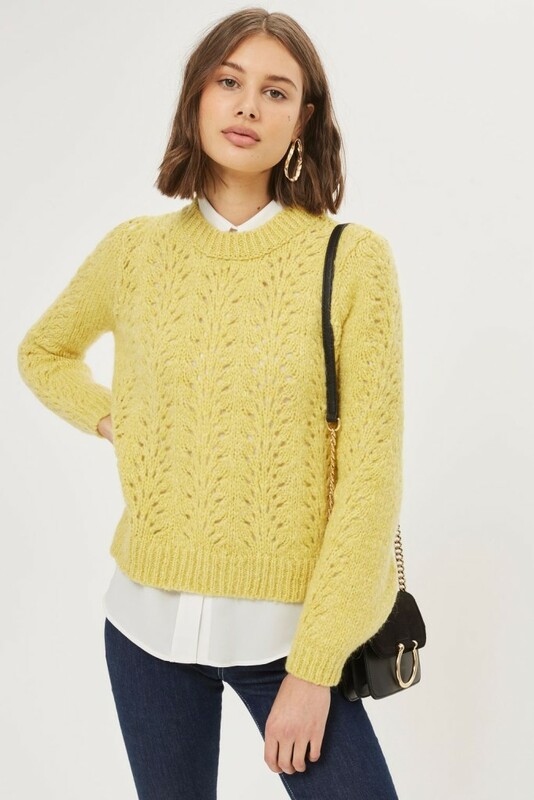 As ever, I’d love to hear what you think about my 7 today, or in fact, if there are any other decent High Street Ganni Knit dupes out there which I’ve missed? Leave a comment & I’ll get back to you! Have a good evening guys & thanks for reading. Ahh – hope you feel better soon Bean. I went through a few days of feeling pretty meh and I think I’m still in the land of meh now. I saw the jumper in New Look and I think it’s totally you – the colour is strong enough for a start, I can see where you’re coming from with the pastels. 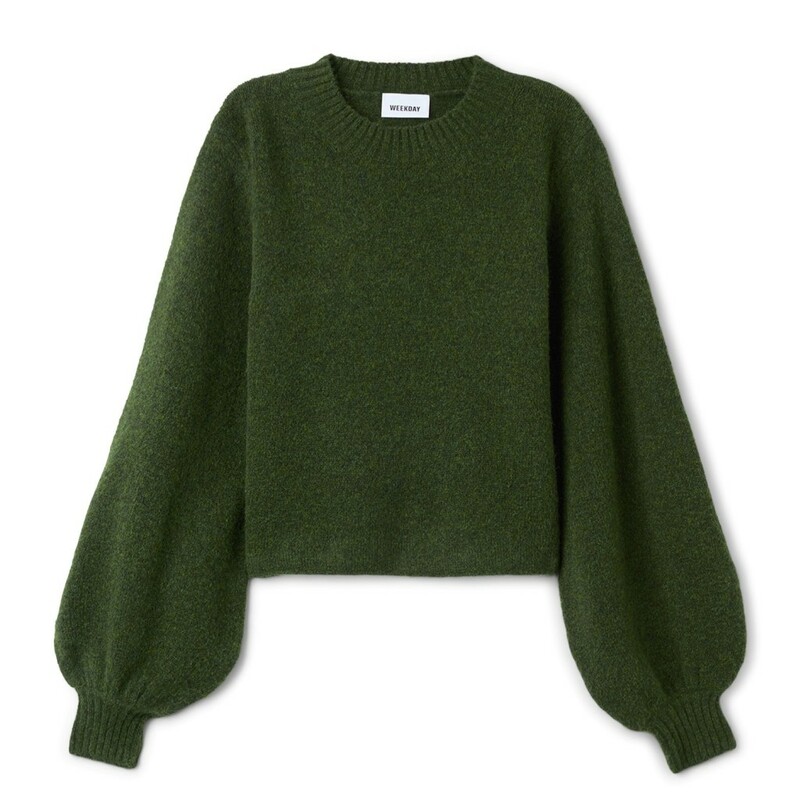 I however do like green jumpers – I bought one from H&M but returned it after indulging in a couple of others which I thought were way more flattering. If the fit had been there, it would have been a keeper. Anyway, onwards into a new week – hope it’s a good one! I had a roughy night but feeling ok this morning! I’ve definitely got something milder than the hubster so hopefully will be fine for half term! Thank you – I do like the NL jumper it’s just *so* artificial looking. Sometimes having a mum who taught you about fibres and textiles obsessively was good but other times I wish I could ignore these things more!